When your company decide to expand their business, you must be prepared for better warehouse management system on your SAP Business One, it’s not only a simple arrangement inventory stock on your warehouse. Racking / Shelving system is a must. SAP Business One provides a better solution for more detailing warehouse management. Now, you’re only use warehouse code for keeping your inventory stock, but now, you can use Bin Location. A bin location is the feature for record a smallest addressable unit of space in a warehouse where your inventory stocks are stored. 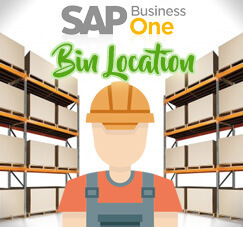 After you enable the bin location function for intended warehouses, bin locations need to be recorded for all receipts and issues of inventory in those warehouses. So, note that, every inventory in and out from system will be affected. How to activate bin location? 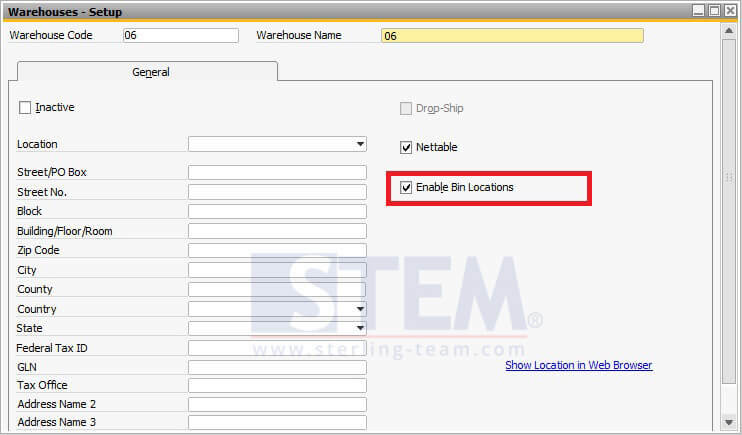 Tick on “Enable Bin Locations” option, then click Update button, or Add button if you create from a new warehouse. There will be a new tab located next to General Tab. Tick “Enable Receiving Bin Locations” if your bin can be used for receiving temporary inventory stocks or for inspection purposes. 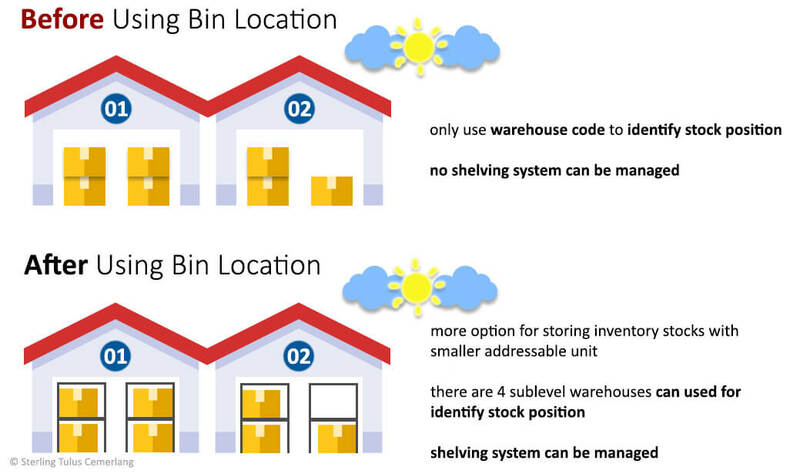 Note that there are differences between Receiving Bin Location and Storage Bin Location. Receiving Bin Location: a bin created as inspection area for temporary storage of incoming goods. After the inspection is clearly done, all of the goods will be moved to the storage bin locations. You must ticked “Enable Receiving Bin Locations” option. You must define how you’ll receive the goods? Based on bin location code order? or base on bin location sort code order? Then, choose which one do you want to give restriction, up to maximum quantity or weight or both? What if you need more sublevels, not just a single bin location on each warehouse, you need more details that suitable with shelving system. You need more option, can you? Stay tune for our next article..